3M Health Information Systems works with providers, payers and government agencies to anticipate and navigate a changing healthcare landscape. 3M provides healthcare data aggregation, analysis and strategic services that help clients move from volume to value-based health care, resulting in millions of dollars in savings, improved provider performance and higher quality care. 3M's innovative software is designed to raise the bar for computer-assisted coding, clinical documentation improvement, performance monitoring, quality outcomes reporting and terminology management. A leading provider of professional staffing and search services, Addison Group distinguishes itself through exceptional delivery, specialized knowledge and strong relationships. Addison enables ideal connections between talented professionals and dynamic businesses. Addison is an Inavero's Best of Staffing winner for both Client and Candidate service for the past four years. Cyberscience Corporation is a proven Business Intelligence (BI) software development and services company with customers located around the world. Cyberquery BI consists of over 40 years investment and is unmatched when it comes to power and flexibility. Cyberquery provides access to real-time, disparate data and can display your information in the format required. With 25 years exclusively focused on healthcare needs and over 1000 hospital clients, FormFast is recognized as the industry leader in electronic forms and document workflow technology. FormFast's enterprise software platform integrates with EHRs and other core systems to automate required documents, capturing data and accelerating workflows associated with them. By using FormFast, healthcare organizations achieve new levels of standardization and operational efficiency, allowing them to focus on their core mission; delivering quality care. 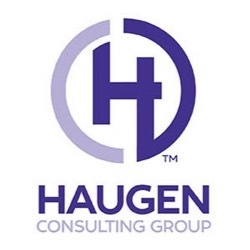 Haugen Consulting Group is your trusted partner, solving healthcare challenges with a personal approach. Experts in Consulting, Education and Auditing. We have walked in your shoes and are experienced experts in Health Information Management and Patient Access. Just Associates is a healthcare data integration consulting firm that delivers superior value through improved data integrity. We have the technology, process expertise and systems knowledge to deliver tailored, value-added solutions that improve financial outcomes and business processes and supports delivery of quality patient care through improved data integrity. Services include: MPI Clean-ups, Provider Clean-ups, IDManage On-going MPI Management, IDOptimize Patient Matching Algorithm Optimization, IDSentry Duplicate Detecting Software, HIO/EMPI consulting, Patient Access and HIPAA Privacy consulting. 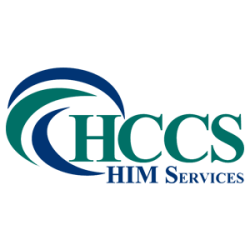 RMMI Digital Document Solutions works with over 25 healthcare organizations providing scanning and document management solutions related to revenue cycle support and administrative document management solutions. TrustHCS provides advisory and staffing services to ambulatory, acute and post-acute care organizations. TrustHCS' focus on coding, coding compliance and clinical documentation needs enables operating cost reduction, revenue cycle acceleration, and revenue integrity improvement. Credentialed staff, clinicians, and strategic partners deliver these services in a cost-effective, accountable way with measurable and sustainable results.